Our ambition was to deliver a state of the art roadster that is both addictive everyday fun and a full track weapon but with its own distinctive attitude. 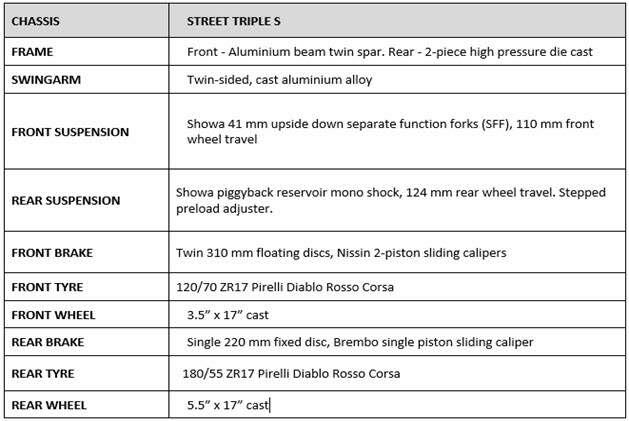 The Triumph Street Triple S delivers on these while demonstrating unique levels of power, performance, technology and suspension. 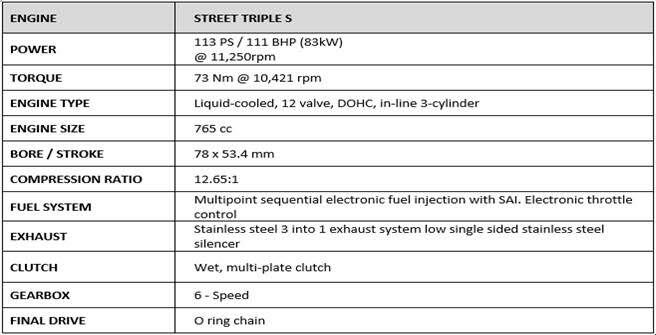 Owning the Street Triple also gives Triumph enthusiast a chance at owning a bit of the exhilarating Moto-2 engine technology now that our exhilarating new partnership is in the books. 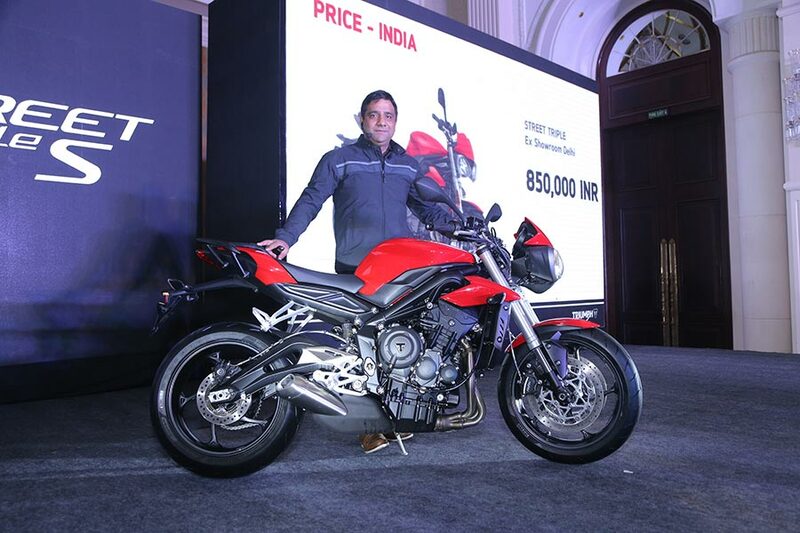 Our hope to keep making newer and better associations and products and to keep delivering on the high-standards that is the Triumph way of riding. Built for the Sheer joy of riding, the all – new Street Triple S serves up a thrilling, agile and addictive ride every day. 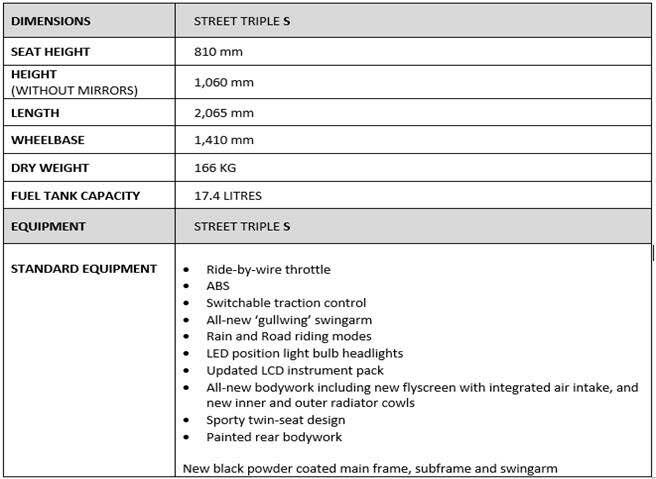 With a new race bred 765cc engine that has a new level of power and torque, new state of the art technology, the highest ever level of suspension, brakes and tyres, aggressive new looks and class leading weight – the Street Triple S sets a whole new benchmark.